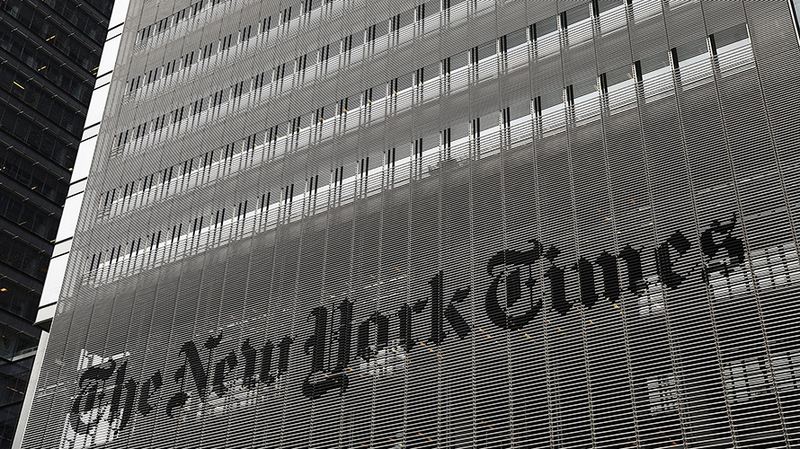 The New York Times recently opened two new data tools to advertisers. As publishers grapple with how to best make use of the troves of audience data at their disposal, a growing number are handing brands the keys to in-house data and artificial intelligence tools that could change the way ads and sponsored content are sold. The New York Times, Group Nine Media and the Washington Post are among the media companies that have taken advantage of data science projects built for editorial purposes to give advertisers a clearer picture of who’s consuming their content and how to best speak to them. Publishers hope programs like these might help them gain back ground from tech giants like Facebook and Google that dominate the ads industry through targeting precision. The Times debuted a unit earlier this year called nytDEMO that encompasses two new data-crunching tools. One, called “Project Feels,” is meant to gauge and analyze readers’ emotional reaction to articles and videos through a crowdsourced survey tool. The other, Readerscope, tracks which topics resonate most with which readers on a more granular level than was previously possible and draws conclusions to better target advertising campaigns. Both tools were originally designed for the paper’s editorial and subscription sales departments. Chris Wiggins, the Times’ chief data scientist, said the unit’s focus on data around the content it produces and how readers interact with it rather than precise audience demographics sets the project apart in an ad industry that largely trades on intimate knowledge of consumer identity. The Times declined to name any specific brands that have run ads informed by the tools. The company has long used its internal R&D lab as a destination spot for advertisers looking to see what the news organization was building for its newsroom, with the hopes that products that start for the newsroom can end up in clients’ hands. Indeed, the company opened up R&D Ventures, its commercial arm to its R&D Lab, in 2012 only to shutter it a year-and-a-half later. While Ventures didn’t last, the idea that a news organization can build products to help advertisers continues to push forward. A Times spokesperson said the nytDEMO team operates separately from the R&D lab. Group Nine Media, the parent company of outlets like Thrillist, NowThis and The Dodo, for example, released a data science program at its NewFront presentation this month that it says will use AI to inform ad campaigns across its various brands. Group Nine President Christa Carone said the tool, which it calls Group Nine Insights Analyst (GIA), has picked up on useful oddities in audience behavior, such as the comparative average watch time of dog and cat videos (dogs are watched 4.5 times longer) and a millennial predilection for spending long amounts of time on outer space content. Until this month, such insights have only been used to inform editorial decisions, but the company will now open the door to advertisers. For instance, Group Nine recently worked with an auto brand on a campaign meant to persuade city dwellers to buy more cars that would run specifically around “road trip” videos that are three to four minutes long.